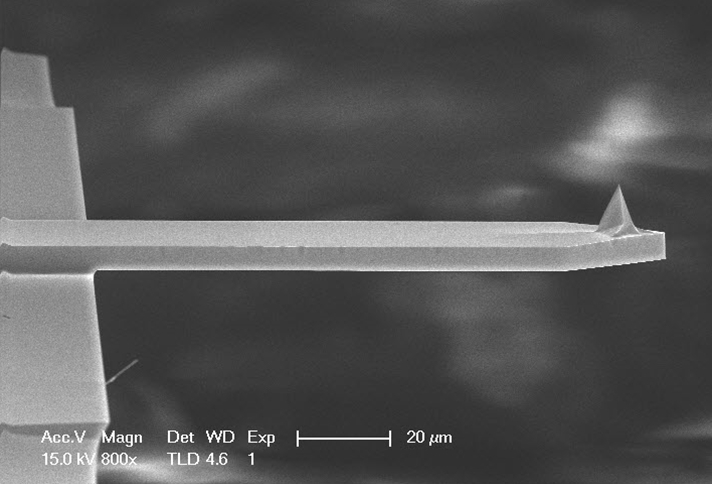 A wafer of High quality etched silicon probes for hard TappingMode™ and other non-contact modes. Unmounted for use on standard AFM's. Bruker's flagship MPP probes are the preferred choice for high-sensitivity silicon probe imaging in TappingMode or non-contact mode in air. Every aspect of the MPP design has been optimized to provide the most accurate profiling of microscopic features. 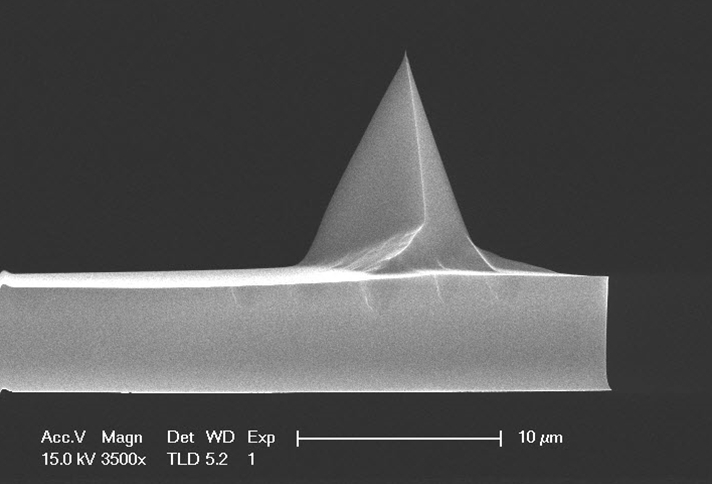 With precisely controlled cantilever geometry to enable repeatable scanning parameters, an extra sharp tip radius to reduce the AFM's minimum detectable feature size, and a taller tip to minimize squeeze film damping, the MPP is the industry standard for high-performance and high-quality imaging on a wide variety of sample types. This AFM probe is unmounted for use on any AFM and is also available without Aluminum reflex coating as model RTESPW-525.